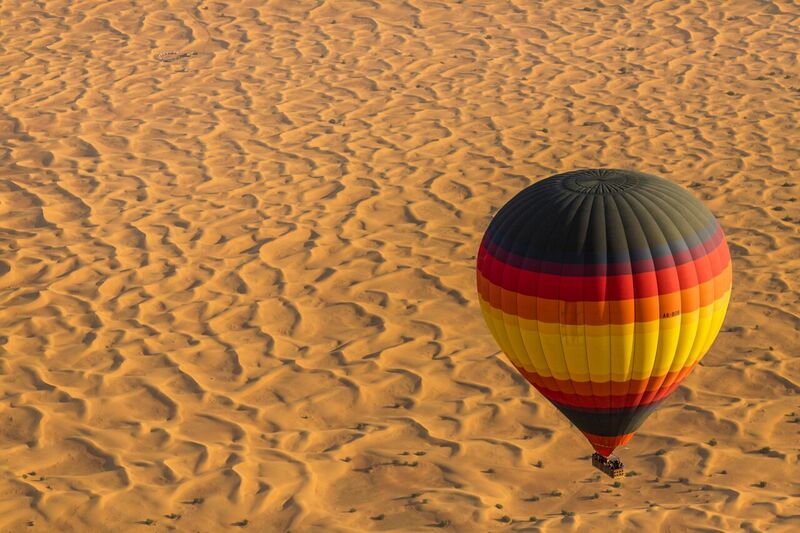 There’s no better way to experience the beauty of Dubai than to take a hot air balloon ride over the long stretches of the desert in an unforgettable way. The Hot Air Balloon ride departs daily for a sunrise flight over the desert. 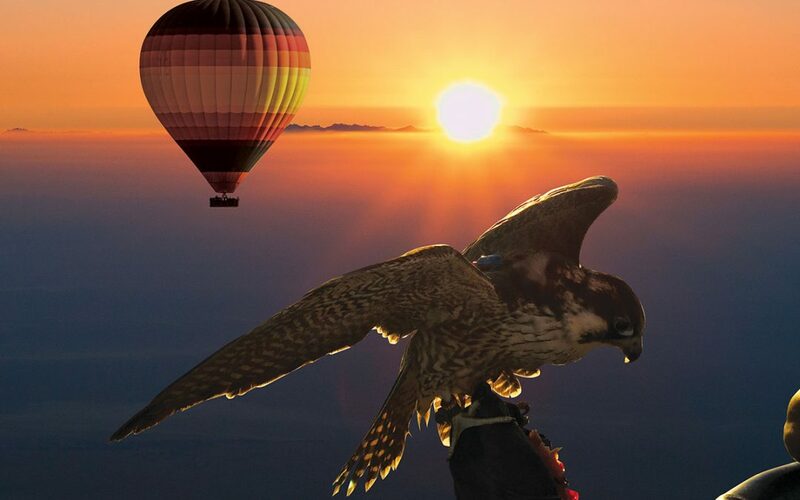 Experience a world first and fly with a falcon on board your balloon! 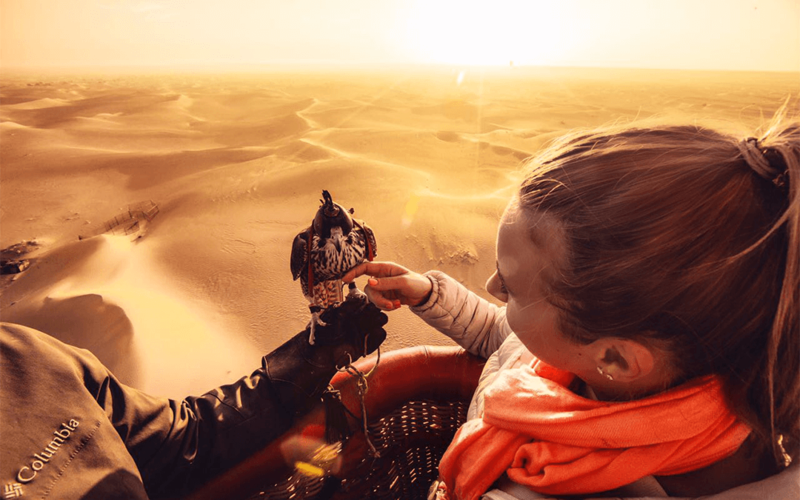 Known as the most enjoyable activity in Dubai, the hot air balloon ride will also make it easy to see camels roaming the sand dunes in a spectacular setting that is peaceful and serene. End you experience with a ride in a 1950’s vintage Land Rover and feast on a gourmet breakfast at a Bedouin camp. See Ballooning.ae for more details. Known as an indoor ski resort, try your hand at skiing on over 22,500 square meters of snow. It’s a great place for families to come for all levels of skiers to enjoy the largest indoor snow park in the world. Make a splash at the water park at Wild Wadi by enjoying over 30 attractions and rides that the whole family can enjoy. Relax in the wade pool or enjoy a bit of surfing at Flowriders. A number of thrilling slides and drops are also available for a great way to cool off in the warmer months while having a bit of fun. Few things are quite as spectacular as visiting the beautiful Burj Khalifa Lake that spans over 30 acres. Here, over 6,600 lights illuminate dozens of beautiful fountains that make for a stunning performance that is used with music every 30 minutes throughout the day. Enjoy picking up a number of items at the Dubai mall where you can explore over 1,200 shops in a 20-billion-dollar complex that will truly be a shopping trip that is unbeatable. This market is a staple attraction in Dubai with thousands of delicate and intricate items sold by local merchants, unique from other Middle Eastern cities. It’s the perfect place to shop for gold jewelry while on holiday without feeling overwhelming to shoppers. There are plenty of different styles available to easily suit the tastes of different nationalities. Although it might not make for the best place to shop all day, it is a great place to look for several hours. Enjoy a tour of Dubai on the water on an abra for incredible views of the city. It’s known as an affordable tour and is most beautiful at sunset while learning about the history and culture of Dubai with a number of locals who also use the water taxi. Perhaps one of the most popular locations in the world, Palm Island consists of two islands that are in the shape of a large palm tree, making for an incredible aerial view that is truly one of a kind. Here, you can enjoy viewing residential apartments and villas, water parks, shopping malls, and theme parks for a great place to spend most of your time in Dubai. The Spice Souk can be visited by an abra as it is situated in eastern Dubai and hosts a number of merchants who sell a wide variety of spices and fragrances. It’s the perfect place to purchase a number of different herbs that are most commonly used in Arabic food. Although not as popular as in former years due to the increase in new supermarkets in the area, the Spice Souk is still a hidden gem in Dubai for those who want to make authentic cuisine that is rich in taste. The Jumeirah Beach Residence is a site to see with 40 towers of a residential community that sits right on the water. It holds over 6,000 apartments, which includes five hotels. Here, there are also a number of places to shop and dine for a great place to experience the spectacular views of Dubai while also being able to visit the nearby beach.